Today we look at how much you can expect to spend on really upmarket New Zealand properties. We look at the best locations and provide some examples of what you can get for your money. 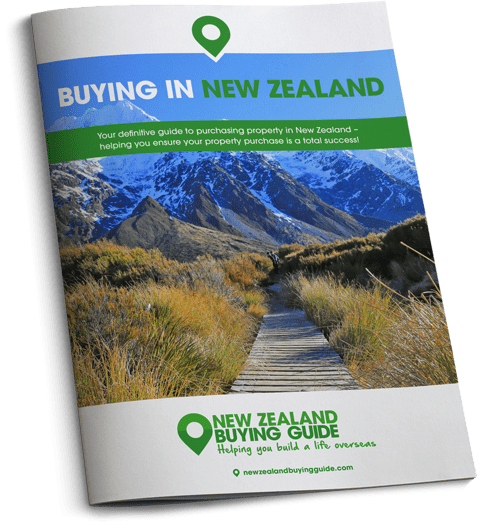 While it is possible to find incredible properties in New Zealand for reasonable prices, when you push that budget up you can find some truly spectacular family homes. Today we’re running through the most upmarket suburbs in New Zealand’s most popular cities and revealing what kinds of dream properties you can secure for your budget. The average price of property within Coatesville’s rolling hills is around $3 million (£1.66m). If you’ve been considering a move to Auckland, no doubt you’ll have a list in mind of some of the most prestigious parts of town. St Mary’s Bay is one of Auckland’s most expensive suburbs, where properties are on the market for an average of NZD$1.83 million (£1.03 million). In Remuera average prices are around $1.66 million (£919,000). In Stanley Point, you can expect to pay an average of $1.55 million (£858,000), and in Epsom an average of $1.52 million (£842,000). Parnell, home of John Key, is very upmarket, as are Ponsonby and Herne Bay. Today we’re looking at Coatesville, which is within Auckland but feels very much like the countryside. The average price of property within Coatesville’s rolling hills is around $3 million. This stunning modern property, completed in 2013, is located within the rolling hills of Coatesville and is on the market for NZD$3,600,000 (£2m). This is the perfect spot for those looking for an eco-friendly property, as it combines cutting edge technology with sustainable solutions and materials to create a truly special family home. The high ceilings and enormous windows make the property wonderfully light and airy and the house is perfect for entertaining – whether outdoors or indoors. If you like to cook, you can’t help but be bowled over by the designer kitchen – the highlight of the open plan living area. This property has four bedrooms, an office, multiple living areas, a mezzanine floor above the kitchen and two modern bathrooms. On site you’ll also enjoy an enormous garage/workshop and plenty of parking spaces for your guests. 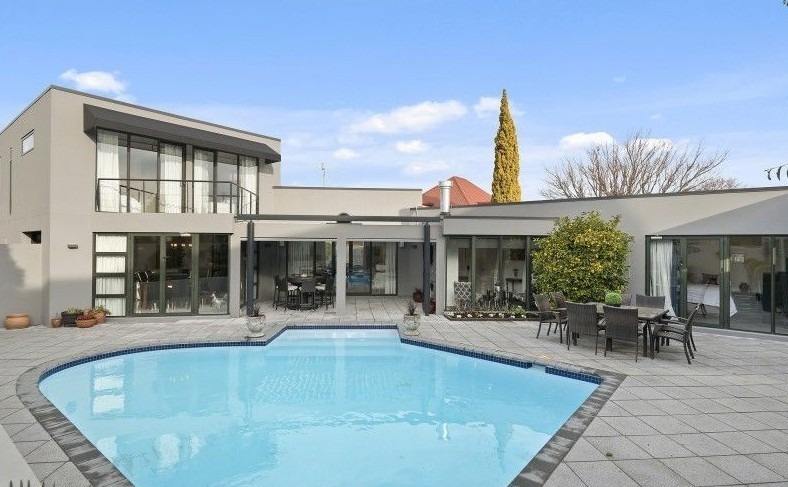 For the best properties in Christchurch, you should head to Scarborough, Kennedy’s Bush and leafy Fendalton. Average house prices in these areas sit at around the million-dollar mark. If it’s Hollywood glamour you’re after then this contemporary home could be just the ticket. The property is on the market for $1,199,000 (£619,604) and is perfectly located close to Fendalton’s best schools, shopping centres and recreational facilities, but down a tranquil cul-de-sac that affords plenty of peace and quiet. The property’s main living area is all open plan and flows seamlessly outdoors to your entertaining areas and swimming pool. There are three spacious bedrooms, one on the ground floor, with its own en suite and walk-in wardrobe, and two further bedrooms upstairs. The most expensive street in the capital city is Carlton Gore Road, where the average property price currently sits at around $2.5million (£1.38million). If you’re looking to set up shop in New Zealand’s capital, there are a few decidedly upmarket corners of town that are likely to catch your eye. The most expensive street in the city is Carlton Gore Road, where the average property price currently sits at around $2.5million (£1.38million). Carlton Gore Road is located in Oriental Bay – the home of many presidential penthouses. 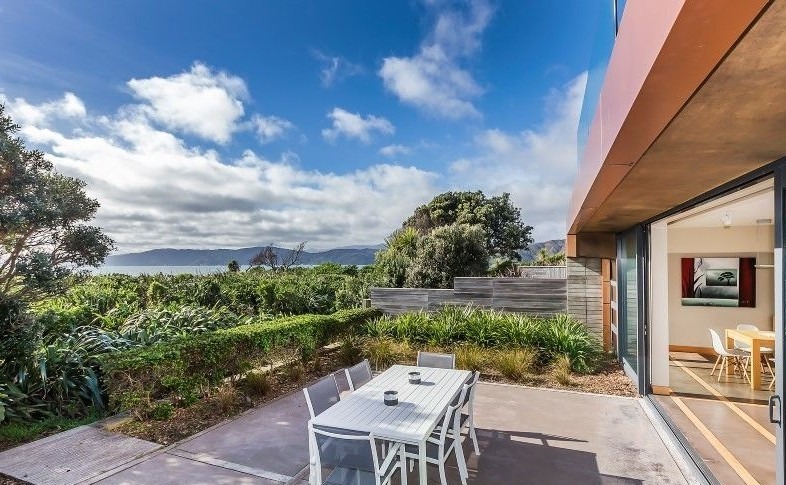 Other snazzy spots include Roseneath, Thorndon, Karori and Seatoun – a colonial seaside suburb, which is just 15 minutes drive from the centre of Wellington. In Seatoun you’ll enjoy a lovely village atmosphere, a fantastic beach, tree-lined streets, cafes, boutiques, galleries – everything you could possibly want within walking distance of your dream home. Seatoun Heights has some of the city’s most palatial premises, and is home to many of the New Zealand film industry’s biggest names, including Peter Jackson. This stunning modern property is an architectural masterpiece that offers total privacy and waterfront living for NZD$2,925,000 (£1,619,690). The property, which was designed by award winning architect David Page, has direct access to the beach, harbour views, its own heated pool. 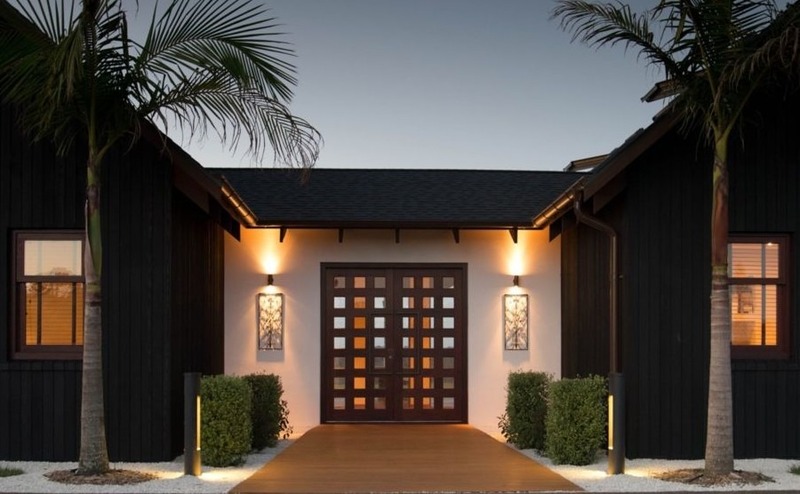 The five-bedroom home’s indoor and outdoor spaces are perfect for those who like to entertain. The property boasts an incredible kitchen, Italian tiled bathrooms and a master suite with panoramic views. If you want your life to consist of outdoor activities against breathtaking backdrops, there is no better location than Queenstown on the South Island. Property prices here do actually rival those seen in Auckland often due to the fact that the building process itself is an expensive business, especially when you’re building in rocky locations on the sides of mountains. Jack’s Point is one of the most prestigious areas of Queenstown. It’s a 3,000-acre settlement overlooking Lake Wakatipu, just 20 minutes drive from the centre of town. 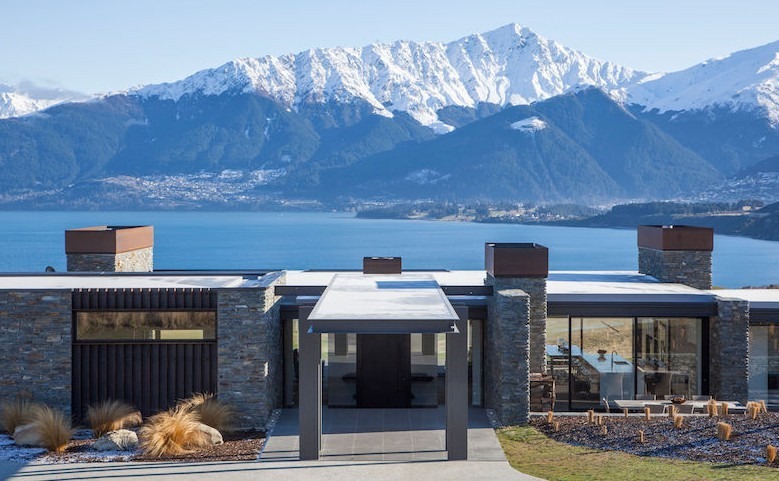 Now for something to really knock your socks off – The Lake House on the market for NZD$5,950,000 (£3,294,000). Imagine having this view of the Remarkables Mountain Range as you sip that chilled NZ Sauvignon Blanc of an evening! Despite having plenty of space, the property maintains a cosy, lodge-like feel. Each of the four-bedrooms has its own en-suite and the property enjoys wonderful features including a media room, games room, hot tub and lots of impressive wood fires. The house is set in two private acres within the golf course in the prestigious ‘Preserve’ of Jack’s Point. Facilities you can enjoy onsite include a clubhouse and restaurant overlooking Lake Tewa, mountain biking and hiking trails, and of course, an internationally renowned championship golf course. The property is also conveniently located just 10km from both the airport and the nearest ski field in the Remarkables.